Attention Valiants of all talents! Actors, singers, dancers, jugglers, gymnasts, magicians, etc. Break a leg valiants! And remember – St. Gens will take the show to Georgia in February, where our friend, Former President Jimmy Carter, will be in attendance. In a Maine coastal village toward the end of the 19th century, the swaggering, carefree carnival barker, Billy Bigelow, captivates and marries the naive millworker, Julie Jordan. Billy loses his job just as he learns that Julie is pregnant and, desperately intent upon providing a decent life for his family, he is coerced into being an accomplice to a robbery. Caught in the act and facing the certainty of prison, he takes his own life and is sent 'up there.' Billy is allowed to return to earth for one day fifteen years later, and he encounters the daughter he never knew. She is a lonely, friendless teenager, her father's reputation as a thief and bully having haunted her throughout her young life. How Billy instills in both the child and her mother a sense of hope and dignity is a dramatic testimony to the power of love. 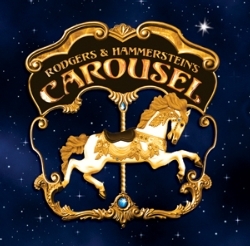 It's easy to understand why, of all the shows they created, CAROUSEL was Rodgers & Hammerstein's personal favorite.